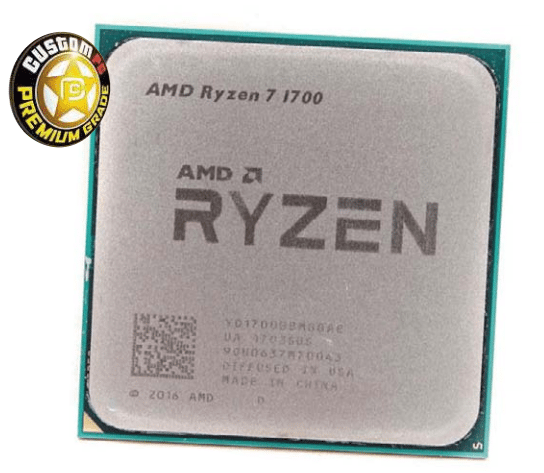 The slow comparatively cheap Ryzen 7 17000 has slower stock frequencies than the Ryzen 7 1700X and 1800X, and the lack of an ‘X’ in its name signifies that it’s been less favorably binned in terms of overclocking too. Thankfully, it not only costs less than the Ryzen 7 1800X, but it also sports a super-low TDP of just 65W – less than half the TDP of Intel’s 8-core Core i7-6900K, which could make it an extremely power-frugal 8-core CPU. Out of the box, it has some fairly lowly specifications though. Its base clock is 600MHz slower than that of the flagship Ryzen CPU, with the 1800X sitting at 3.6GHz, while its Turbo frequency gets it up to 4GHz. Comparatively, the Ryzen 7 1700 has a base frequency of just 3GHz and can boost to 3.7GHz. Intel’s Core i7-6900K is faster too, with a 3.2GHz base frequency, although its Turbo frequency is only 3.7GHz. Both the 6900K and AMD’s Ryzen 7 chips have otherwise similar specifications, with eight cores and 16 threads. The Intel CPU has a higher TDP at 140W compared to just 65W for the Ryzen 7 1700, but it also has 4MB more L3 cache. As with all of AMD’s new offerings, price is a key factor. The Ryzen 7 flagship is already half the price of the Core i7-6900K, Intel’s cheapest Broadwell-E desktop 8-core CPU. 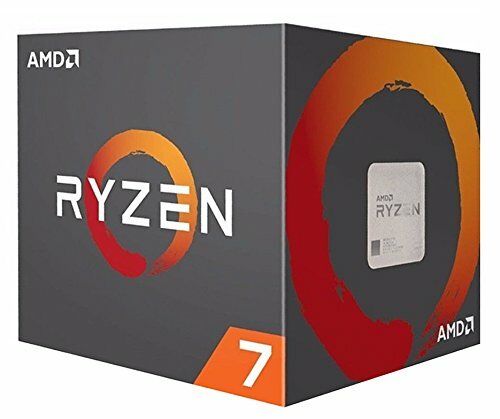 However, the Ryzen 7 1700 costs a third of the Intel CPU’s £1,000 price tag, and is much cheaper than the Core i7-6850K and 6800K 6-core chips too. Basically, the Ryzen 7 1700’s usefulness largely depends on how far it can be pushed. With such a low base frequency, it’s likely it will suffer in both single-threaded and multithreaded tasks at stock speed. However, we used AMD’s Ryzen Master overclocking suite to tweak the Ryzen 7 1700’s clock speed and vcore, and were amazed to find we could surpass the maximum overclock we achieved with the Ryzen 1800X, albeit by just 50MHz. These tweaks gave us a final clock speed of 4.05GHz – more than 1GHz faster than the base frequency, using a 1.425V vcore. This overclock gave us a hefty boost in all three individual results in the RealBench tests, with the image editing score rising from 47,228 to just under 52,000, while the heavily multithreaded Handbrake video encoding test score increased by nearly 50,000 points – an increase of more than 10 per cent that matches the result from the overclocked Core i7-6900K too. The system score saw a boost from 169,001 to 182,970, but due to a slower multi-tasking score, the Intel CPU retained a substantial lead. Ashes of the Singularity also seems to be much better optimised for Intel CPUs, but other games we’ve tried see the Ryzen 7 1700 keep pace with Intel’s CPUs once it’s overclocked. Cinebench R15 saw the best result, though, with the overclocked AMD CPU bettering the Core i7-6900K and even its siblings, despite costing much less money and drawing less power too. Speaking of which, the total system power consumption of 132W at load is a cracking result for an 8-core CPU at stock speed, being only slightly higher than that of the Core i7-7700K, although the power consumption increased to a less competitive 236W when the 1700 was overclocked. The Ryzen 7 1700 offers better multi-threaded performance than the more expensive Core i7-6850K and similarly priced Core i7-7700K, and matches the latter’s low power consumption. What’s more, once it’s overclocked, it performs similarly to its pricier siblings and the much more expensive Core i7-6900K in many tests. Its stock speed performance isn’t outstanding, but it offers remarkably low power consumption. If you’re prepared to overclock it, the Ryzen 7 1700 offers the best bang per buck of all the 8-core CPUs we’ve tested.